Melancholicus fled his Irish homeland just in time, for as from yesterday, 1 December 2009, the Republic of Ireland no longer exists—at least de jure if not quite de facto. Other sovereign states which similiter no longer exist include the United Kingdom, France, Germany, Italy, Belgium, Luxembourg, the Netherlands, Spain, Portugal, Greece, Finland, Sweden, Denmark, Poland, the Czech Republic, Slovakia, Austria, Hungary, Slovenia, Romania, Bulgaria, Latvia, Lithuania, Estonia, Cyprus, and Malta. Current candidates for non-existence include Croatia, Macedonia (the Former Yugoslav Republic Of) and Turkey. I wish that were so, but it is not. The Lisbon Treaty has been ratified by all 27 member states of the European Union, and it came into effect on Tuesday, 1 December. By means of the ratification of this treaty, the EU has been elevated to statehood; it now has its own Constitution, its own President, and its own Foreign Minister. 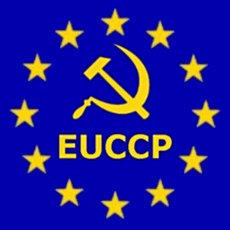 Its already considerable powers to overrule the laws of its constituent nations have been amplified still further, and now that those constituent nations have been relegated to the status of constituent provinces, expect the emergence of a centralized European government which shall impose a uniform social and economic policy throughout its domain. The President and the Foreign Minister are only the beginning; other pan-European cabinet posts will not be long in coming. Let us recall that the Lisbon Treaty is self-emending which obviates the need for any future referenda in the process of ever-tighter integration. What palpable difference is there in Ireland, or indeed in any of the other nations provinces? Did the world come to an end on 1 December? No indeed. The elevation to statehood of the EU will have silently passed many Irishmen by, as it will have done the citizens local inhabitants of the other provinces. Life goes on as normal. There is still an Uachtarán na hEireann, the houses of the Oireachtas are still functioning, there is still a government and there is still a Taoiseach (however unpopular he may be at present). But these have ceased to be instruments of national sovereignty, and have instead become organs of local government, for they are subject to the new Constitution of the European State. We may still choose our elected representatives on this local level; the central government, however, is composed of unelected and unaccountable officials chosen by the ensconced elites. This is the death of European democracy, as surely as it is the death of the sovereign states. Melancholicus is not given to sentimentality, but he is grieved by the fate that has overtaken the nation which gave him birth. this is the best website i have ever visited.hello,my name is Mr.OMBENI MUKUNDA ,i am a refugee from the democratic republic of congo and i am also a musician artist,a political analyst and also a flag admnistrator with a good understanding of FRENCH ,ENGLISH,SWAHILI as well as LINGALA.